This design addition to St. Theresa School comes in a line of work O’Brien & Keane began for the parish back in 1993 with the construction of the original school building. Completed in 2015, the new addition includes administrative offices, multipurpose space, and a chapel. The school renovation references the original brick building as well as the parish divide. The new building design allows visitors to enter along an arcade before being greeted by a welcoming double-height space formed by maple columns and beams. This space and the administrative offices flanking it look out onto the now-completed courtyard shared with the original school building. At our architecture firm in Virginia, we are dedicated to creating designs that make a statement by translating traditional architectural elements into modern-day living. 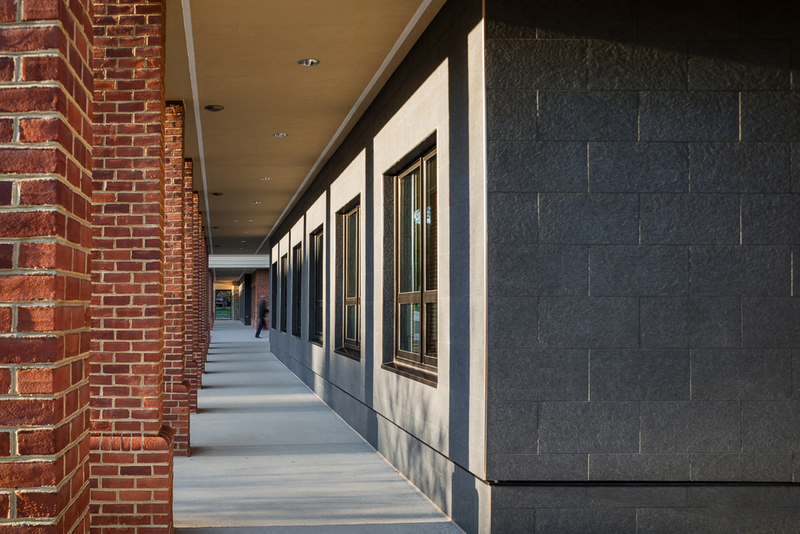 Our school architects in Virginia integrated this addition to the St. Theresa School into the design of the original building, lending a cohesive feel to the entire project.